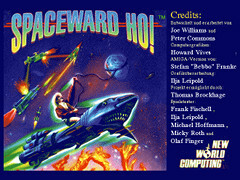 Spaceward Ho! is a strategy game for the Amiga. The game is converted from the Mac to Amiga by Stefan Franke. Changes in this version: Added an English version and manual.